Uranus is a featureless oddity in our solar system, a turquoise marble that has remained largely unstudied. However, from the little we do know about the planet, it is clear that it holds mysteries that many are itching to solve. The first planet to be discovered using a telescope, Uranus has since held a relatively low priority for Earth’s space exploration community. Where Saturn, a close neighbor (relatively) of the featureless planet, has spent 13 years under Cassini’s gaze, our knowledge of Uranus is almost entirely based on a single flyby mission by the Voyager 2 spacecraft in 1986. Since its discovery, the Voyager flyby and time under the gaze of the Hubble Telescope, Uranus has hinted at the mysteries it holds. One of the many debated oddities of the planet includes its tilt. Planets in our solar system orbit the sun spinning upright like a top. Uranus, however, spins with a tilt of 98 degrees ensuring the planet’s poles directly face the sun as it does. The exact cause of Uranus’ tilt is not known. However, it is suspected that the planet either had a direct collision with an Earth-sized planet or a near-miss with the gravity from the other celestial body pushing the planet off its axis. Besides answering questions we have about the planet itself, a Uranus orbiter could help us begin to understand how planets throughout the universe are formed. 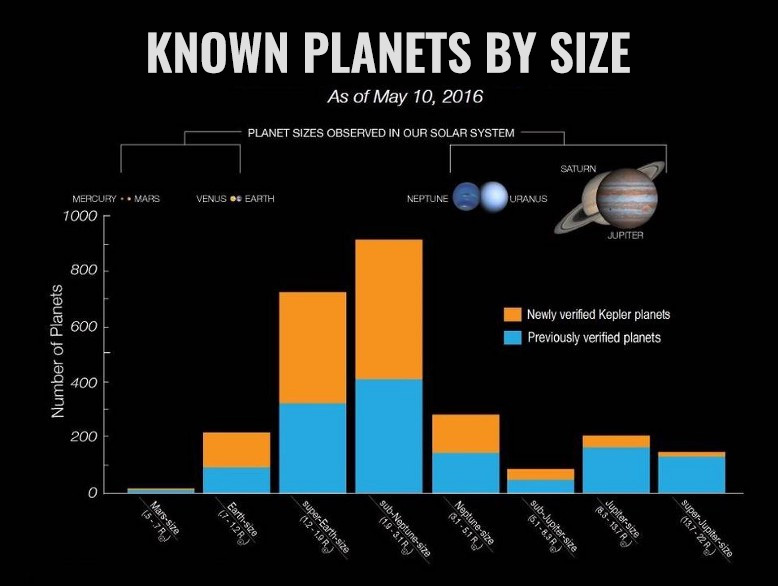 When classifying the known planets in the universe, scientists commonly categorise them according to their size. The large bulk of confirmed planets fall into the “Sub/Mini-Neptunes” category as illustrated by the graph below. Although most certainly not a priority for any space agency, there are plans to launch a orbiter to Uranus in 2030.